Update 1: Don’t forget to activate Siri in Settings first to use it. 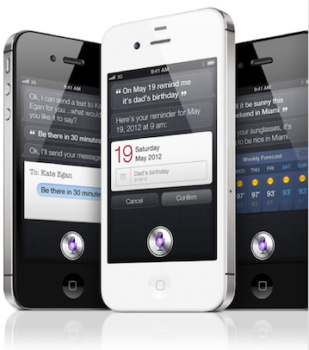 How to get Siri to read your text messages? Say ‘Read my messages’. 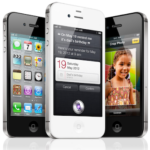 I just received my iPhone 4S from Apple via UPS, and so far, the device is awesome. What everybody is wondering about is whether Siri works in Canada. The answer is yes, albeit in a limited capacity. Siri is unable to search for restaurants and offer maps and directions, and can’t tell the time can tell the time if you ask “what is the time in New York” (for some reason it wasn’t working before). 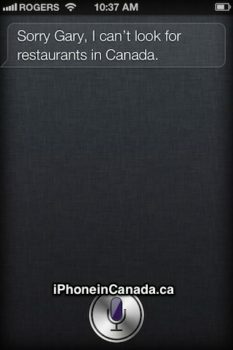 This is because Siri hasn’t been localized for Canada yet, but according Apple’s Siri FAQ, maps and local search support will be coming in 2012 for more countries (via @dujkan). Other languages coming in 2010 include: Japanese, Chinese, Korean, Italian, and Spanish. 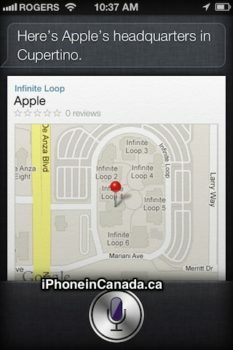 Siri is still in beta, remember. I was able to speak to Siri in a comfortable tone, without sounding ‘robot-like’ and she understood pretty much everything I had to say. I was able to make calls, set reminders, calendar dates, send text messages and emails, and do computations, plus have some fun. It actually works really well, and all those early reviews were spot on. 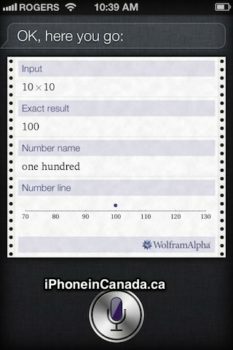 How do you like Siri in Canada so far?